The reality of asking that question is you didn’t go anywhere, I wasn’t here. I’ve missed you. I’ve missed being able to sit up and write. I’ve missed being able to see clearly the words I want to write. I miss sitting on my meditation cushion as I write..yes, I really do that! I’ve missed knowing you are still connected and care. My absence has been controlled by my misbehaving mast cells wrecking havoc within my already depleted encasing. In the last 10 days I have been in the hospital, pumped full of drugs and released, feeling worse than I went in. Wednesday I began a drug trial of injections that may, yes may, in 6 months or more help control my mast cells. May…If I can tolerate the side effects. It left me in a cold sweat, unable to move without retching, with horrid pain, electrical currents striking in various areas. My bottle of water tastes like metal. My toast like cardboard. Well that might be the bread actually. My throat is sore, head pounding, face swollen, everything from a normal mast cell day quadrupled. Still, I may consider another next month. The only way I can get thru this is to fall back on the beliefs that even this, is not permanent. This is just my life, nothing more. There is nothing wrong with it even tho’ I feel sick in this moment. This is my Medicine Buddha Thanka in my meditation room. It was given to me by my wonderful Tibetan friend Namgil from India. His Father painted it just before he passed on. I’ve been spending a great deal of time in there the past few weeks. Well, there and the ER as you saw on my FB. I’ve been sitting, laying, reflecting, meditating, shedding tears… trying to understand the concept of loss and pain, both physical and emotional. I always think I’ve got it….until it happens the next time. Mind you…considering how I was a few years ago, I’m so much better at recognizing and stepping outside of my physical self to observe. Being in the presence of the Medicine Buddha helps, just as being in any kind of spiritual place brings a sense of peace, belonging and clarity. His deep blue, ties back to a master healing stone Lapis Lazuli. The deep blue is associated with the brow chakra, The attributes of the brow chakra are discernment, clarity, vision and seeing beyond illusion. How appropriate for me at this time. In his hand he holds the myrobalan fruit, representing all of the best medicines in the world. Being so ill these past few weeks I soak in the energy this brings. His right hand gesture represents and symbolizes the eradication of suffering. Especially the suffering of sickness using the means of relative truth. The left hand is resting in his lap palm upward symbolizing meditative stability. Meditation is looked upon as a tool to aid in the eradication of sickness and suffering, both of which have been a huge part of my life. How? By digging deep into the very roots of the pain and suffering and finding the absolute truth. I’ve written about digging in the dirt and finding our own diamonds buried underneath the rubble and baggage we carry around. It’s a lifelong process, this digging. This has been National Adoption Awareness Month. I don’t need to tell you how much has been discussed amongst the First Mothers, The Adoptees, People trying to change the system in hopes of making things better. Post after post written about the atrocities of adoption and how it’s left behind a trail of people with broken hearts. I’ve thought endlessly of how it has affected me and those around me. I’ve had to re read FINDING HEART HORSE several times this month in preparation for printing. These reads have brought deep reflective tears and awareness for the young girl who suffered so much trauma. Interesting. I thought I was done with the tears. It was with compassion this time, with understanding and acknowledgement that came from my heart. Different than before. Even pain has layers. Much of my suffering comes from a lack of connection rooted in being taken from my Mother. Now many are lost to me and my heart breaks sending me into a dark place of despair. I know many of you have felt that loss, that darkness, that aloneness even when in a room full of people. I know some of you are sitting there now. When the actual people move on you are left alone…with yourself and your Medicine Buddha or as in my book…your Heart Horse. I’ve tried to repair the cracks. I’ve used crazy glue to mend the pieces that fell completely out. I’ve read, and prayed, and forgiven. Yet I cry alone. No matter how you look at it, unless you are there for yourself, love yourself, accept yourself you will always be looking outside and you will find nothing. In the ER I was by myself. They pepper you with questions while you are gasping for air, tangles of tubes and chaos around you. “Who’s your next of Kin? Who should we call if we intubate? Who is your next of Kin? Over and over. When I first found my birth family I was so excited. I finally had next of Kin and put their names everywhere never thinking that one day the space would be empty once again. Such a simple thing to so many…next of kin. When you are adopted and live your life with no information, no history, no kin..its just so amazing to have names to put down….such a simple thing and yet so important. Next of Kin. Such a loss then and now. The sooner you figure this out…the better. Less suffering, less chaos. Easier said than done, I know. So, I’m laying in my meditation room contemplating some pretty heavy subjects. Death for example. How fast life can change. In an instant someone is gone. We see it on the news everyday. Do we take time to really think about the person, about their families, those left behind. Did they argue that day over something so silly as a spilled coffee. Did they say goodbye with a kiss, Did they say thank you for all that that person has done for them. Perhaps its only when you come face to face with your own immortality that you raise these questions. I would hope everyone thinks about these things. I know in reality they don’t . How many people live with regrets. Regrets of not doing, not saying, not forgiving. I am working hard to not be one of those people. I’ve had several near death experiences in my lifetime, each time vowing to make each day count. To be generous of spirit, loving and kind. To make amends for my wrongdoings. To help those less fortunate and be there when needed for those who call out. I make it my daily practice. Sometimes, i fall behind and slip into my own pain body. After all, we are all only human. We all want the same things really. To be loved and respected. To be heard. To be wanted and cared for. To be happy. After coming home from the ER this last time, I was reminded once again how fast life can be lost. It’s Thanksgiving Day a few hours south of me. A day where families get together to celebrate gratitude. Something we need to pay more attention to each and every day. For those who are alone and in pain on this day, know I’m thinking about you and sending loving energy. I know too well what that feels like. Look inside, look at the small things and be grateful for just taking a breath. Just taking a breath, nothing more. I believe the essence of all teachings, from all forms of spiritual communities is the same. Commit not a single unwholesome act. Develop a wealth of virtue. Tame, transform, conquer this mind of ours. Be Peace, Compassion and Wisdom. All that we are arises with out thoughts. With out thoughts we make the world. Today, I will practice Gratitude. I will get in the habit of saying thank you, even for the “problems” in my life because these challenges are valuable lessons I can learn from. Gratitude is the key that turns problems into unexpected gifts. I am behind in my 40 day challenge and I’m okay with that. I feel no need to catch up. This Self-Love “thing” is challenging enough thinking about never mind writing about. I know someone today in total meltdown, on the verge of giving up and that makes me sad. I’ve been there many times and in retrospect (now that I’m old ) I see they were times of huge growth and change and were for my benefit. The picture above was one I took in India several years ago. He had nothing more than what you see in that picture. No home, no money, no food, nothing. 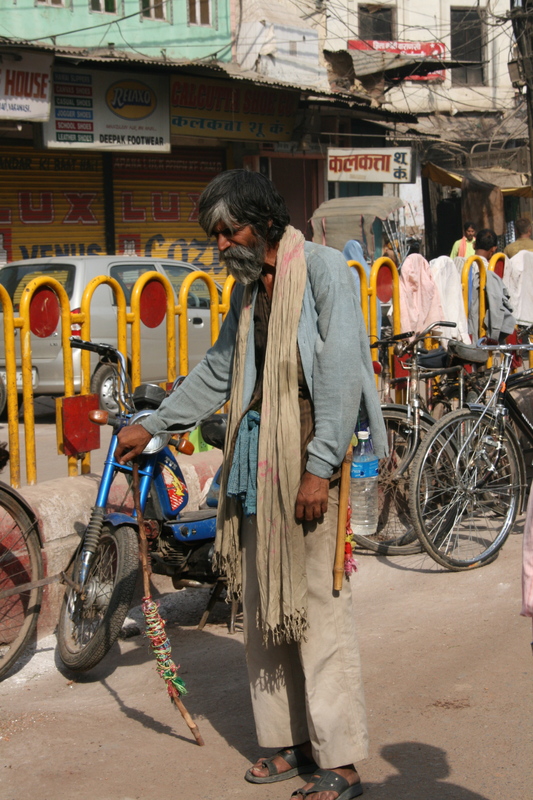 To me, he looked on the verge of collapse in the 40 degree India heat and I offered him my water and some rupee’s. He thanked me and said in his broken english. “My heart is happy…what you see outside is nothing.” It was as if he could see my thoughts. I think about him a lot actually. When problems come into my life and my friends, we tend to blame ourselves. That we were the one that caused it or the one to blame. We speak harshly to that inner child, cruelly at times as so many of us heard as children. We continue the pattern because we think we have to. Because we think we deserve to feel hurt, sad, alone, broken. We are responsible for our own thoughts and emotions. We are responsible for our reactions to what others “do or say or act” towards us…not them. Their actions belong to them alone. It has nothing to do with us. So many people aren’t grateful for their lives because they don’t see the miracles that we all are underneath the external trappings. 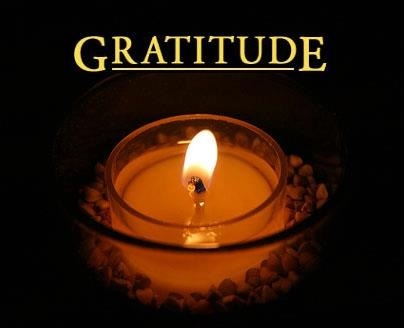 Gratitude in fact leads to happiness and happiness is an attitude afforded to us all…even my friend in India. It’s within our power to feel happy through the ways we look at our lives. That’s why I chose to embrace the problems that come my way now instead of fighting with them and being discouraged that there are so many. If you think of life as a collection of small moments, perfect moments as my friend did with a few rupees and a bottle of water. A moment of bliss added to the mosaic of our lives here and there, scattered about with abandon in between the problems and uncertainty..we will keep going. Instead, most people think they should always feel happy, have it constant and continuous or else it’s not happiness. One giant piece not little bits scattered around..that’s what is expected. It’s not possible. It wouldn’t be happiness. With nothing to compare it to, how would you know? You can be having a perfectly lovely day and wham…a parking ticket and the whole day is ruined. What a shame that we toss out our sacred pieces of perfect bliss because we think they are to insignificant to call happiness. 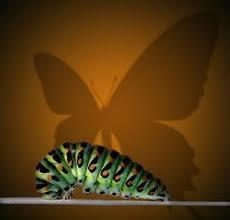 To let one problem or even several negatives erase the perfect moments we have, creates a pattern and a spiral downward. It’s okay to have a rough day, a bad day, a sad day. It’s not the total picture of our lives and its difficult sometimes to remember that. Nothing is permanent in this life, neither the good, nor the bad and if we can choose our thoughts, doesn’t it make sense to view things in a different way. A way that doesn’t cause us so much suffering. trauma and pain. It’s all in how we choose to look at things. Problems have given me resilience and strength because I faced them head on. Each one a building block in the foundation on which I now stand firmly grounded. Don’t let life steal away your perfect moments. See them as they happen and take a moment to protect them and store them in your heart. They are your life building blocks and problems you confront are lessons of gratitude in disguise. Thank you for all of my life lessons. I look at myself now, knowing my strengths and weaknesses. I am grateful. 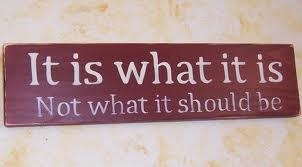 Today it’s all about the fact that I have taken a risk. I have entered into a world of vulnerability by writing these words, by writing my story, by speaking my truth. Forming new patterns in the brain means taking risks and doing things we don’t usually do. Every new pattern needs practice and this is my new practice, paying attention to my thought patterns and how I speak to myself. Our brains are actually quite pliable. One wouldn’t think so when after so many years we keep slipping into the old ways and old tapes of negativity. Again, it’s practice. Like a meditation…you don’t get the full benefit if you don’t really pay attention and practice. At the bottom of all of this is the fact that we/I may believe that I can’t…or shouldn’t..or won’t be good enough. Those beliefs are so deep. You just have to jump in and say WTH and do it! There is an acronym for the word RISK…. Release your attachment to the outcome. I’m thinking about the stories in my book, about my health, about adoption, relationships..everything that I am taking a risk with. Taking a risk by talking about things that for years were never to be discussed. Secrets…so many secrets. They say you are only as sick as the secrets you keep and I believe it to be true. I wonder if the same thing goes for the secrets we keep about ourselves, in day to day interactions. “How are you?”….”Fine” I say, keeping myself hidden, my pain hidden, my fatigue hidden, my loneliness hidden, my desire for a hug hidden. Is that honouring yourself? Why do we feel we have to pretend we are okay all of the time? So other people don’t get upset? So we don’t rain on somebody else’s parade? That’s not self love. Self love is asking for what you need. As I was telling my ND what I had been doing the past couple of weeks with my books and blog starting and the researching of genetics involved with mast cell disease all the while feeling so ill she looked at me and said..”Are you not aware, that even for a healthy person that would be a lot?” I’ve been told this before and it always takes me by surprise. I think I need to say it to myself more and acknowledge that despite being sick for most of my life, I just pushed through. I pushed through caring for 2 dying parents while working full time shift work as an RN and raising a daughter. I pushed through fixing up an old house into a home because I never had one and I wanted my daughter to have what I never had. I pushed through when I lost a dear friend to suicide. I pushed through a search for my roots and in several short years met and lost a Mother I had only dreamt of having. I pushed through writing my stories and feeling the losses and pain with each word as if I were writing with my own blood in gothic swirls. I pushed through losing a family before I really found them. I pushed and pushed and pushed until I collapsed on the other side. I took the risk. I’m still taking the risks. I will always take them because if you don’t, you will never know what’s on the other side. It’s time to stop pushing now and acknowledge all I have accomplished and give myself permission to just let it come and I’ll roll with whatever you want to throw my way. No more pushing. Now I can surf the waves and ride them in peace. still taking the risks and be non attached to the outcomes because it really is all part of the journey. Today, I acknowledge myself for all the risks and all the strength i have gained from taking them. .